Topic: Altered tomoose female figures. These have been on my hard drive for some considerable time and I decided to release them as they are. Alterations and additions to original figure: Pete Shaw aka Mission_bug. 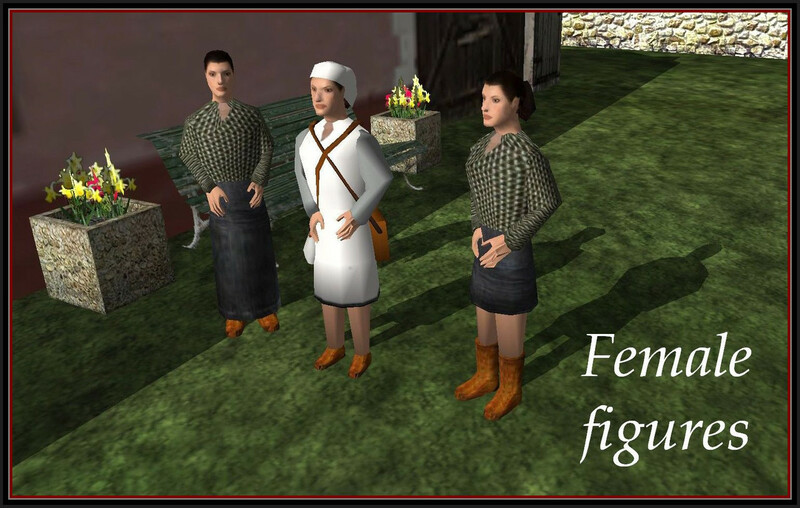 The weapon carried by the female Partisan was removed and the resulting figure altered to make the three you find here in the download. They still require the attention of a texture artist to complete the job and provide further alternatives of outfit. Re: Altered tomoose female figures. Where's the bikini and the nudie figures? Jokes aside, thanks for the release. Would just distract the pilots from their work and cause crashes, better they remain clothed me thinks. as long as the original author is okay with what you do it is good with me. Thank you for this new "figures" ! I have no probs with alterations at all. Any improvements only help the immersion etc.